May 25 (LoveFM-News) The Second Cuba-Belize Medical Symposium was held today in commemoration of the 27th anniversary of the Cuba Medical Brigade in Belize. 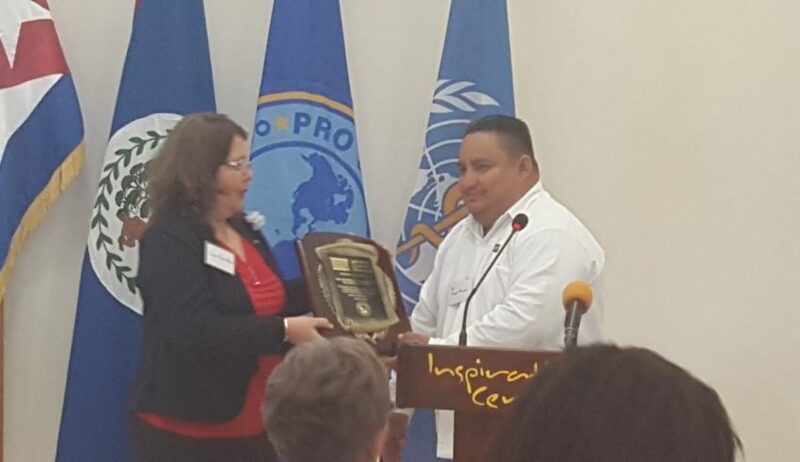 Ambassador of Cuba to Belize, Lissette Perez and Minister of State in the Ministry of Health, Dr. Angel Campos spoke of the longstanding collaboration between both countries. The Cuban health work force in Belize includes 24 specialists who labor in areas of orthopedic, internal medicine, psychiatry and pediatrics to name a few. There are also about 25 Cuban nurses working at various public health facilitates across the country. Cuba has also provided scholarships to medical students in Belize. Approximately 64 of these students are presently in Cuba studying. Today’s symposium saw presentations by representatives of the Ministry of Health and civil society.